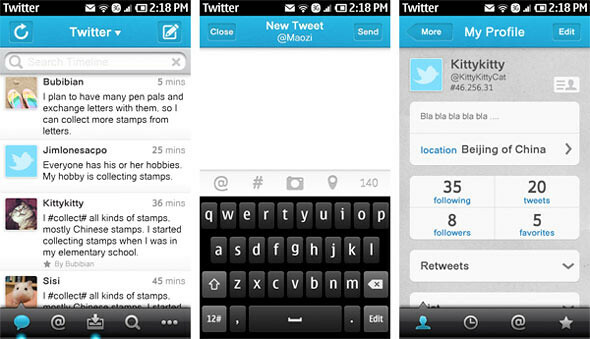 Here’s another alternative for Twitter apps on Symbian. If you have been thinking if you should buy Gravity, why not give this free Twitter app a try? The app was built using Qt, and looks a lot like Twitter for iPhone… like 90% resemblance. Tweeties gives you the simple and clean UI style, the beautiful graphics and the considerate drop down list, all are designed for your good experience. From the demo below, we can see that it has inherited all the features and sliding gestures from Tweetie (iPhone) and works the same too! Though the loading of mentions took a little bit long.. but I’m sure it works well with fast connection. Check the video out to know more. 2 Responses to "Tweeties For Symbian, A New Qt Twitter App [video]"